Chikki is a traditional ready-to-eat Indian sweet generally made from groundnuts and jaggery. Traditional Indian Chikki made with Peanut, Jaggery, Sugar, Liquid Glucose, Butterscotch Flavour. Shree Peanut Chikki is very healthy and delicious to eat. Made using the peanuts and jaggery of highest quality they are rich in nutrients to meet your full day requirements. Shree Till chikki is very healthy and delicious to eat. Made using the till and jaggery of highest quality, they are rich in nutrients to meet your full day requirements. Sweet Chikki with Hplus gives main nutrients and a group of health bioactive proactive ingredient. It is very yummy taste. Sweets Cake Peanuts include high amounts of numerous precious nutrients, minerals and vitamins. It is a healthy, yummy usual Indian sweet prepared of peanuts. roundnuts, Jaggery, Sugar, Glucose & Permitted Flavours. This packet of millet chikkis is a sweet snack churned out using four types of millet—Finger, Foxtail, Kodo, and Jowar. Coming in an attractive package, these tasty and nourishing munches are a class apart from other chikkis. Jabsons Chikkis are made with Traditional Home Recipes and manufactured in Air-Controlled Hygienic Atmosphere with utmost care of Quality. Durga Peanut Bar Large Fine. 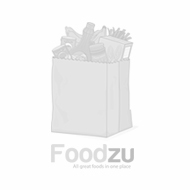 Buy Chikki online at Foodzu and get attractive discount on every purchase. Chikki is a traditional Indian sweet usually made up of groundnuts and jaggery. There are several varieties of chikki, and the foremost common is groundnut chikki. Each type of chikki is named depending upon the ingredients used, that include puffed or roasted Bengal gram, sesame, puffed rice, beaten rice, or coconut. A large array of Chikki bar is produced in India and therefore the Foodzu online stores offer you the chance to choose your favorite chikki at cost-effective prices. Special chikkis are made out of almonds, cashews, hazelnuts, and pistachios. Though jaggery is commonly used as a sweetener, sugar is also employed as the base in certain types of chikkis. Choosing the premium quality of organic Chikki bar is not a simple task. The Foodzu online grocery store in India understands this challenge and hence serve you with a wide array of chikki at a cost-effective price. Buy premium quality of Chikki on Foodzu online grocery store in Bangalore and acquire the product delivered right to the doorstep. Relish the simple and relaxed means of online grocery shopping in India from top brands at less than MRP at Foodzu.